The first step in selecting a wedding cake is to determine a budget. This will help determine whether you'll be baking a cake at home or heading to the swankiest bake shop in town to place your order. Depending on size, grandeur, details, flavors, and intricacy, a wedding cake can range from $100 to several thousand. Some bakers charge per serving, and this cost can range from $3 to $20. How important is the cake to you? Remember when you are budgeting to take into consideration how the cake will be served - many venues charge a fee for cutting and serving the cake. In addition, be sure to consider the transportation of the cake. 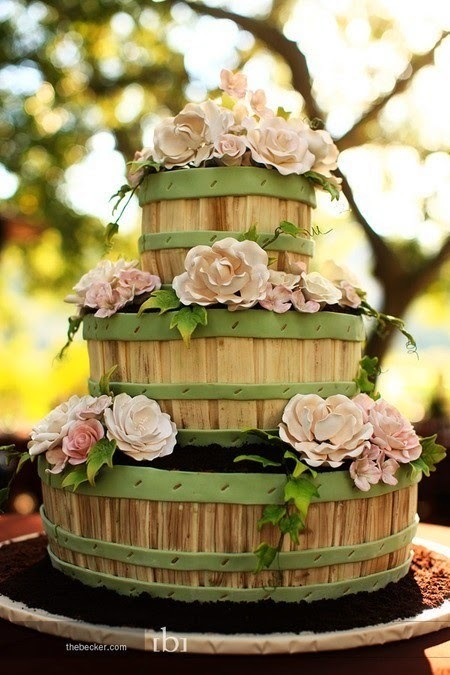 Professional bakeries are used to transporting cakes and will charge a fee for the service. Transportation is an important consideration when deciding whether the cake will be done professionally or by a family member! If you've decided to work with a professional baker, it's a good idea to meet and obtain a quote with a sketch before you sign a contract. Most bakers will request a deposit (often 50%) when you sign. Specialty wedding cake shops offer "haute couture" cakes, which are truly stunning and always delicious, but may be out of your budget. Consider obtaining quotes from three shops before proceeding. If you are on a tight budget or hosting a very small affair, remember to check the bakery department at your local grocery shop - the cakes are often delicious and quite inexpensive! 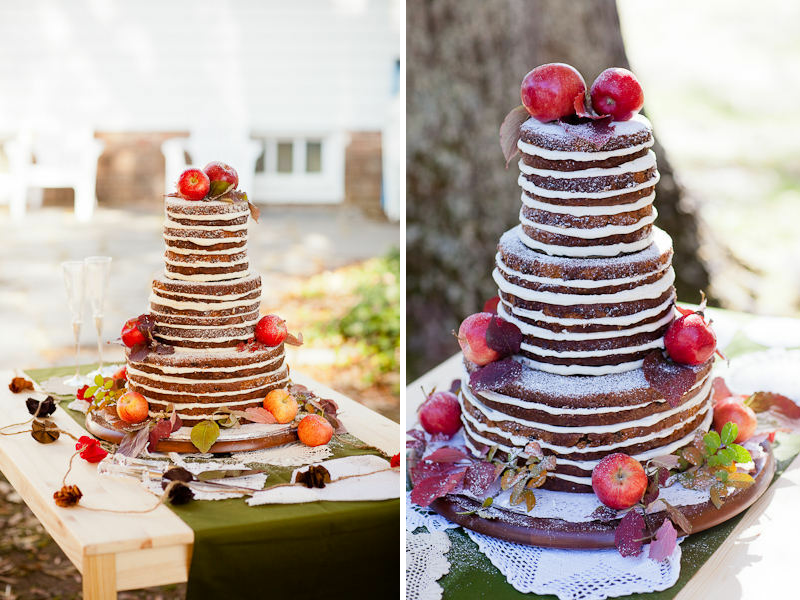 Your wedding cake should be a reflection of your overall theme. While a simple white cake is classic, many brides choose to add a splash of style to the cake by making sure that it is similar to all the other details of the wedding day. This could mean having a polka dot cake, or a cake that's heavily oriented to a specific theme. Or, it might mean simply having the cake decorated with the same type of flowers that the bridesmaids will carry. A simple way to decorate the cake is to have a layer of ribbon (real or sugar) wrapped around the base of each tier. The cake designer may seek inspiration from a variety of sources, including the lace on your wedding gown, the style of your wedding invitations, or the chandelier hanging from the ceiling in your reception hall! Cakes can be round, square, petal shaped, or virtually any shape you can think of - and miniature cakes, cup cakes, and small flower shaped cakes are all unique ways of thinking outside the "cake box"! Are you a couple of chocaholics? Or, do you love strawberry shortcake? 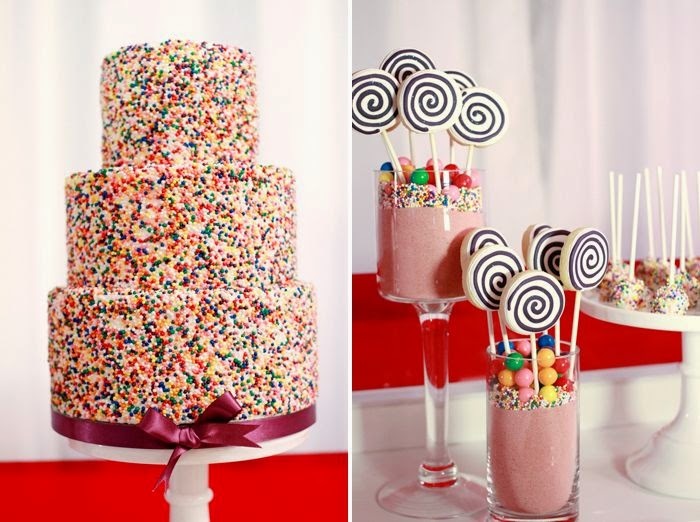 While wedding cakes used to known for their lack of taste, these days' cakes are more scrumptious than ever before! 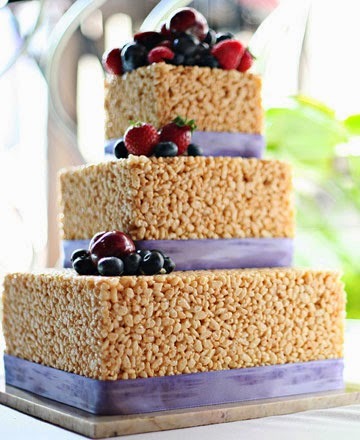 Add a unique touch to your wedding cake by selecting unexpected flavors that hold special meaning to you as a couple. Consider blending your cultures by layering fillings from the regions your families come from. Love creme brulee or peanut butter and banana? Work with your baker to come up with a flavor that's truly special to you. Be sure to make a note of the cake flavor on your menu or in a frame that's placed near the cake. Part of the wow factor of your wedding cake comes in its presentation. Be sure that a special table has been assigned for the cake, and have it decorated with linens, candles, petals, and flowers. If you're having a cake topper, choose one that you love - whether it's funny, classic, or elegant. Whether you're looking for a couture cake designer who will make all your butter cream dreams come true, or hoping to put together a gorgeous cake with a limited budget, one thing's for sure: no cake will ever taste as sweet as your wedding cake!